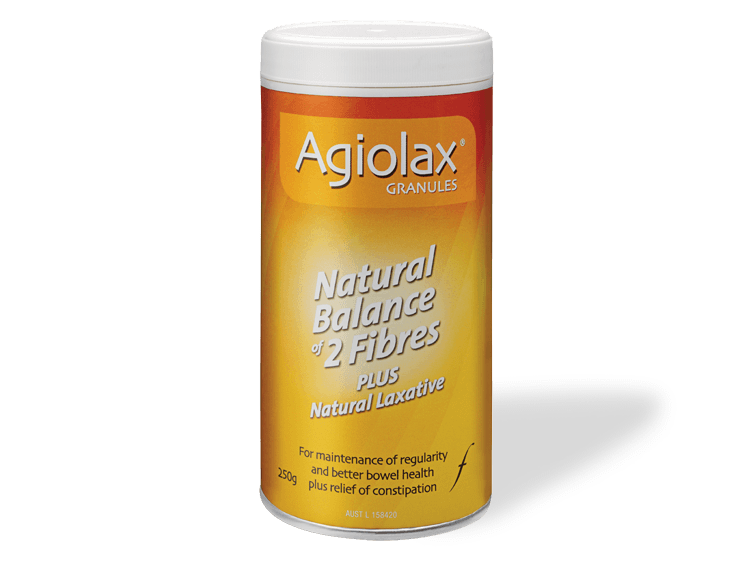 Agiolax contains an optimal balance of insoluble and soluble fibre, combined with a natural laxative (Senna) to provide relief from constipation and to help normalise bowel movements. Do you suffer from constipation or sluggish bowels on a regular basis? Constipation can affect up to 30% of Australians,1 and research has shown that the right balance of insoluble and soluble fibre can help maintain regularity while promoting better bowel health. If you are looking for constipation and bowel support, Agiolax may be right for you. This product may not be right for you. Read the warnings before purchase. These can be found in the dosage and directions section below. Follow the directions for use. If symptoms persist, worsen or change unexpectedly, talk to your health professional. Food for thought: The feeling of constipation is fairly common with 1 in 5 Aussies said to experience this problem. 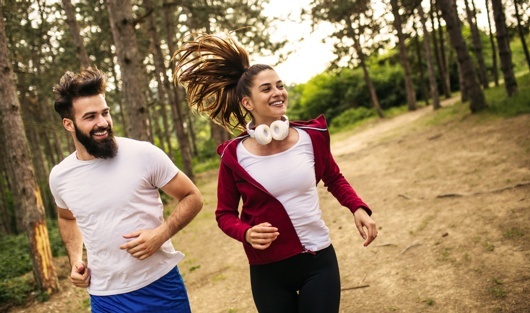 Did you know that maintaining a healthy balanced diet and practicing regular exercise are important ways to help keep that “blocked up” feeling away? Adults and adolescents over 12 years: Take one teaspoon in the evening, followed by a glass of water. Agiolax granules and should be swallowed unchewed with a glass of water (approx 250ml) or mixed with any semi-liquid food, such as yoghurt. A bowel movement can be expected 8-12 hours after taking a dose. Drink plenty of water. Contains sucrose. Use in children under 12 years is not recommended. If you are pregnant or breast feeding, seek the advice of a health professional before taking this product. Do not use when abdominal pain, nausea or vomiting are present, or if you develop diarrhoea. Prolonged use may cause serious bowel problems. Always read the label. Use only as directed. If symptoms persist, see your health professional. Agiolax is a natural medicine that helps relieve constipation and support healthy bowel function. Agiolax combines a balance of insoluble and soluble fibres, with natural laxative Senna. Clinical research has shown Agiolax can help soften and increase stool frequency to aid bowel movements and relieve constipation. 2-4 Its granule formulation is well tolerated and convenient, requiring no mess. Is Agiolax likely to interact with any medications? There are no known interactions between Agiolax and other medications; however it is recommended to be taken away from other medications so as to reduce the risk of inhibiting absorption. It is recommended to take other medications at least an hour before or after taking Agiolax. If you have questions about using Agiolax, it is recommended that you talk to your healthcare professional. Can Agiolax be used in pregnancy and breastfeeding? As Agiolax is a laxative, if you are pregnant or breastfeeding seek medical advice before use. Your healthcare professional can discuss with you the risks and benefits involved in taking Agiolax during these life stages. Can Agiolax be given to children? Agiolax does not contain lactose. Agiolax does not contain added gluten. How long will it take for Agiolax to start working? Agiolax is a gentle laxative and generally produces bowel movements in 8-12 hours. Will Agiolax affect my ability to drive and operate machinery? Agiolax has no known adverse effects on the ability to drive and operate machinery. Where can I find Agiolax? Agiolax is available from pharmacies and selected health food stores. If you go to the Where to buy button above and follow the instructions, you will be able to find a list of pharmacies in your area who either stock Agiolax or will know how to order Agiolax. Even if your local pharmacy is not on the list, they will be able to order it in for you. Peppas et al., Epidemiology of constipation in Europe and Oceania: a systematic review. BMC Gastroenterol 2008;8:5. Ewe et al., Pharmacology 1993; 47 (suppl. 1), 242-248. Passmore et al., BMJ 1993; 307:769-771 with financial interest from Madaus AG.